‘As a Holistic Dentist I look at the connection between your oral health (the outer smile) and your overall health (your inner smile). If you suffer from Headaches, Migraines, ME/Chronic Fatigue, Fibromyalgia, Sleep Apnoea or Snore, I believe the problem may often lie in your mouth. You may have old leaking Mercury fillings, Gum disease or have a bite that is out of balance. I believe these dental issues can cause low-grade chronic inflammation in the body which can affect your general health. Safe mercury removal can sometimes be an aspect of my recommendations, but there are many other aspects of Holistic Dental Care that need to be carefully considered. We may need to consider and assess your bite, your jaw position, your posture, breathing, whether gum disease is present, whether you have had any toxic exposure and of course, your past medical history. Click below to download free information leaflets on areas that may be of interest to you. As a holistic dentist I believe that the sequence and timing of your personal treatment plan is just as important as the treatment itself. Holistic Dental patients should be properly supported and advised before and during their treatment. To provide my patients with the most comprehensive healthcare tailored to their personal needs, I will often work in synergy with other Holistically minded practitioners. Depending on your unique needs this may include Acupuncturists, Chiropractors, Cranial Osteopaths, Osteopaths, Doctors, Naturopaths, and Nutritionalists. Dr. David Hefferon graduated as a dentist from Queen’s University, Belfast in 1988. After working in Northern Ireland for over four years, David travelled and furthered his experience and education in Dusseldorf, Harley Street, London and Sydney, Australia. He holds a Diploma with Honours in Homotoxicology / Biological Regulatory Medicine and is the only Dentist in Ireland to be a Fellow of the International Academy of Oral Medicine and Toxicology. 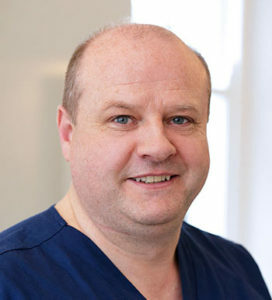 David has a specific interest in Mercury-Free Dentistry, Orthopaedic Orthodontics, TMJ (Jaw) problems, Physiological Regulating Medicine, Detoxification protocols (Pre and Post Mercury removal) and the connection between Oral Health and General Health. Please note that Dr. Hefferon provides Holistic Dental Care at Dundrum Dental Surgery. 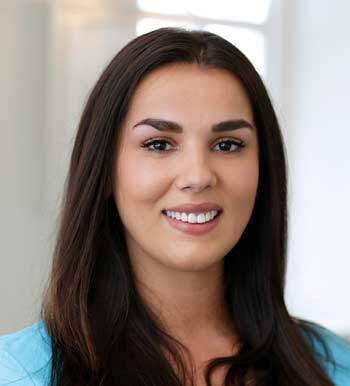 Dundrum Dental Surgery is a general dental practice and Dr. Hefferon is the only holistic dentist on our team.